The United Nations' Food and Agriculture Organization recently reported that eating more insects could help us secure our food supply in the increasingly likely scenario of global food supply instability. 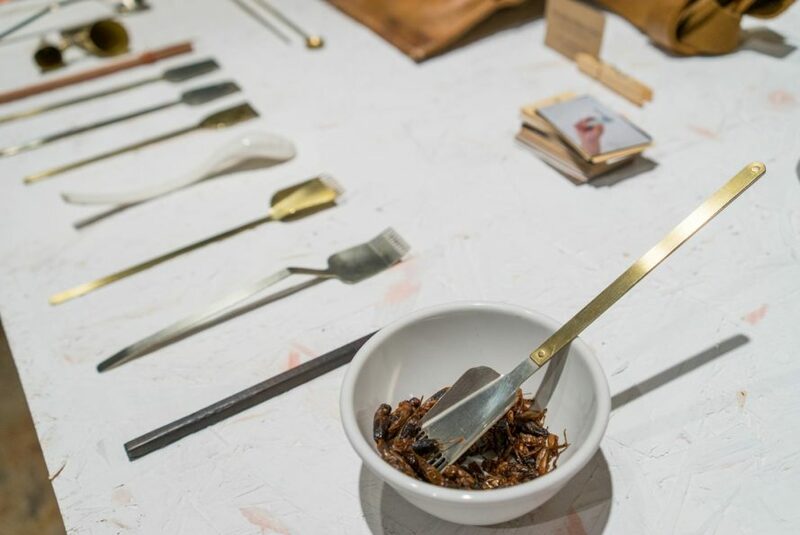 Designer Wataru Kobayashi is making an insect dinner far more appealing with a sleek picnic set created to enhance, or at least make the whole experience easier to digest. BUG BUG comes complete with a set of bizarre-looking utensils, stone-like plates and a leather-free rolling case for a unique, al-fresco dinning experience involving your own favorite creepy crawlies. Including protein-packed insects in our diets will help us deal with a future food-nightmare scenario, as insects are widely available and take only 8-10% of the resources needed for the production of meat. BUG BUG was designed as a response to a large-scale food crisis predicted for 2050. The set comprises all sorts of unique utensils, including a pair of claw-like cutlery that fits over the fingertips to mimic birds’ beaks. There are also chopstick with a pin-end for skewering, a multi-use spork for the little bits, and a textured spoon for crushing the hard parts. Crafted from a combination of ceramic, stainless steel and cherry blossom wood, the kit is elegant and durable. 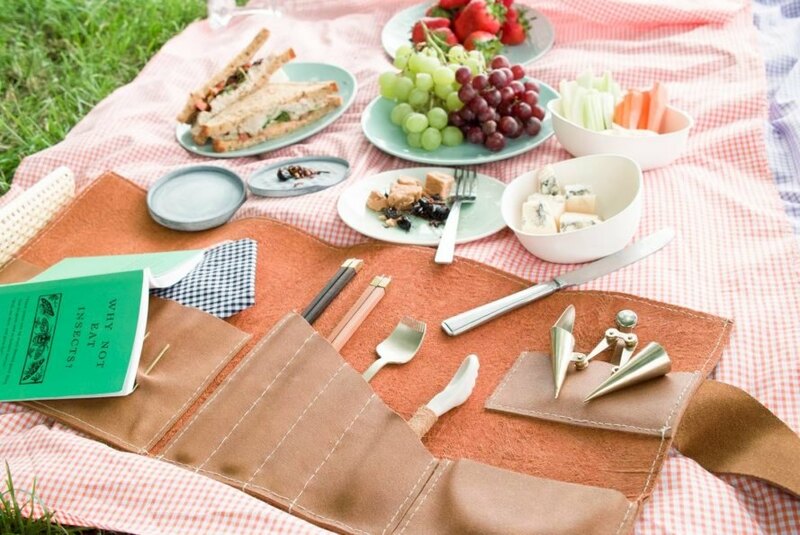 The plates are made from stainless steel and porcelain but resemble stone, to fit in a picnic environment. An easy-to-carry leather-free roll case with bark cloth lining completes the set designed for a future al-fresco dinning scenario. We spotted Wataru Kobayashi’s innovative BUG BUG at London Design Festival’s Designersblock. Including protein-packed insects in our diets will help us deal with a future food-nightmare scenario. BUG BUG was designed for a food crisis predicted for 2050. A pair of claw-like cutlery fits over the fingertips to grasp insects. Textured spoons were designed for grinding. The set comes in a leather-free rolling case. The set is sleek and eco. We spotted this design at Designersblock.